Antarctica has been inspiring explorers for centuries. 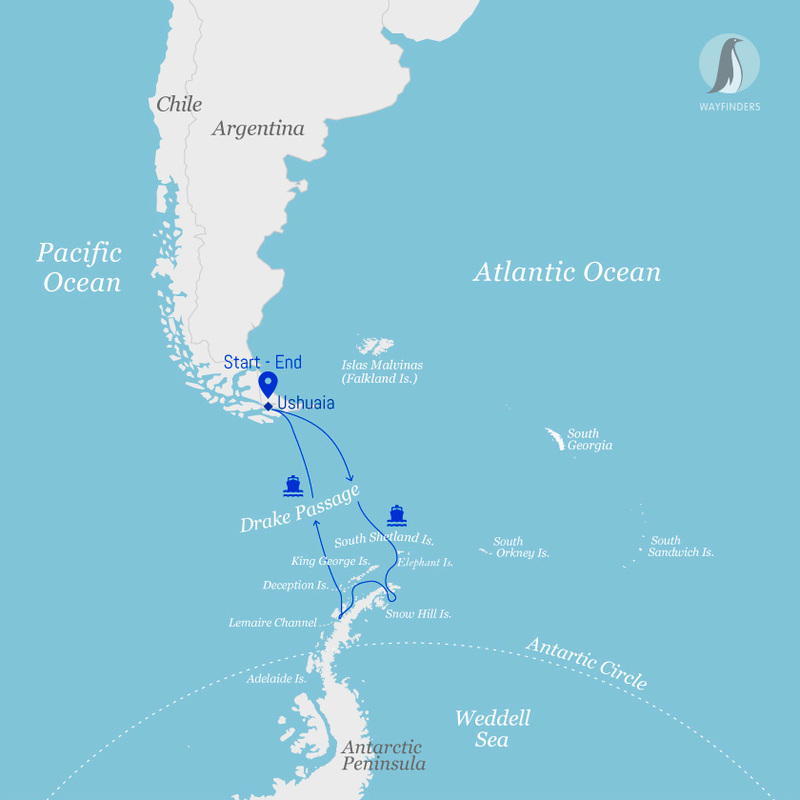 And this voyage offers you the chance to discover why, with an unforgettable journey through the spectacular wilderness of the South Shetland Islands and Antarctic Peninsula. This is a place with an extraordinary and dramatic history; the silence, and the purity of its environment is something that cannot be described in words. Keep your camera ready as you cruise in a Zodiac in search of whales, seals, seabirds and astounding icebergs. On land you will witness thousands of penguinsin their colonies, with snowcapped mountain peaks looming behind. During this trip, you will enjoy iconic Antarctic highlights, and you will be rewarded with memories to last a lifetime. The South Shetland Islands are a haven for wildlife. 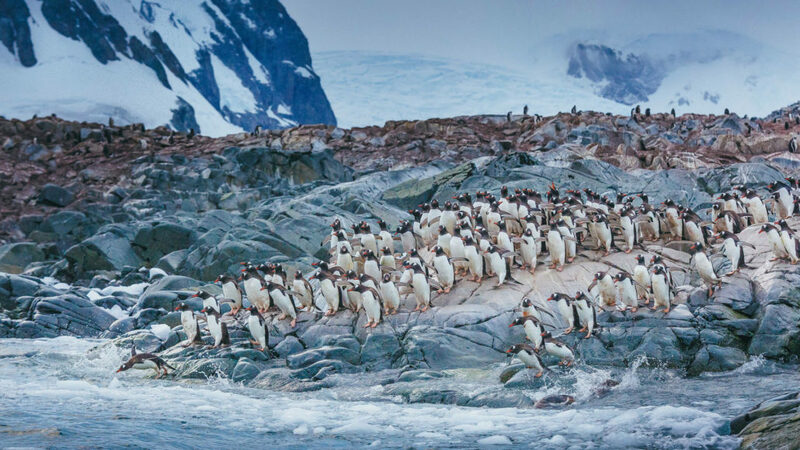 Vast penguin rookeries, beaches ruled by Antarctic fur seals and Southern elephant seals make every day spent in this amazing island group unforgettable. Sailing through the narrow passage into the flooded caldera of Deception Island is truly amazing. King George Island, the largest of the South Shetland Islands, features colonies of nesting Adélie and Chinstrap Penguins, Kelp Gulls, Blue-eyed Cormorants, Antarctic Terns and Southern Giant Petrels and is home to scientific bases of many different countries. Macaroni, Chinstrap and Gentoo Penguins as well as elephant seals await you at Livingston Island. Further exploration may take you to the Melchior Island group, Cuverville Island, Portal Point, Neko Harbour, Pléneau Island and if ice conditions permit, to Petermann Island for a visit to the southernmost colony of Gentoo Penguins.